I’m proud to partner with P&G on this sponsored post. All of the opinions are 100% my own. Life has gotten very busy. Even though I’m an empty-nester now after the recent weddings of my son and daughter, I have a full life. 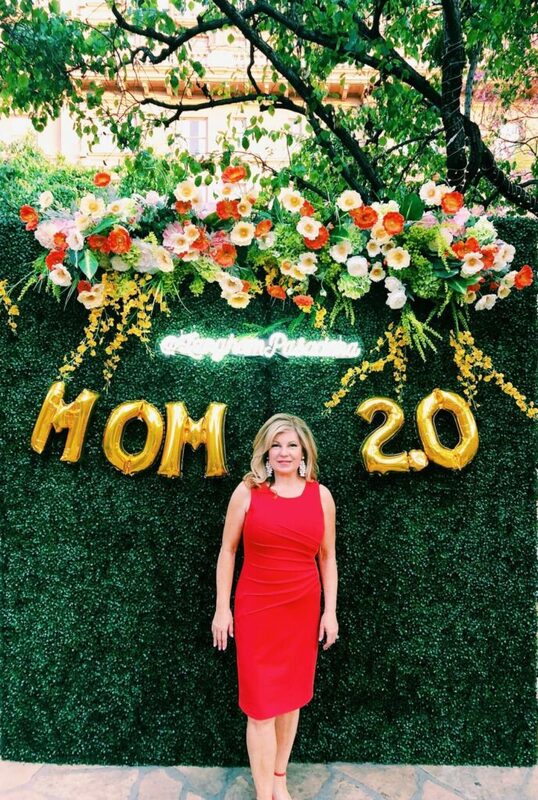 I often have the opportunity to attend conferences, TV premieres, grand openings, and events. It’s outside of my comfort zone, but I have learned to embrace it. I’ll admit that I’m an introvert, disguised as an extrovert. I can have confidence “challenges” and often need to give myself a pep talk. I have to get my photo taken a lot, which means looking and feeling my best. I have a go-to product that I am sharing that gives me confidence with my smile (and my breath) when I am meeting new people and putting my best self forward. At these events, there is a lot of close talking if you know what I mean. Often you just get a few minutes to put out your hand and introduce yourself. You’ve got one chance to make a first impression and being confident is key. Crest toothpaste is an important part of my self-care. It’s a product I’ve trusted since childhood. As I get older, not only do I need to prevent cavities, I also need to prevent gingivitis and acid erosion. Plus I deal with occasional sensitivity. 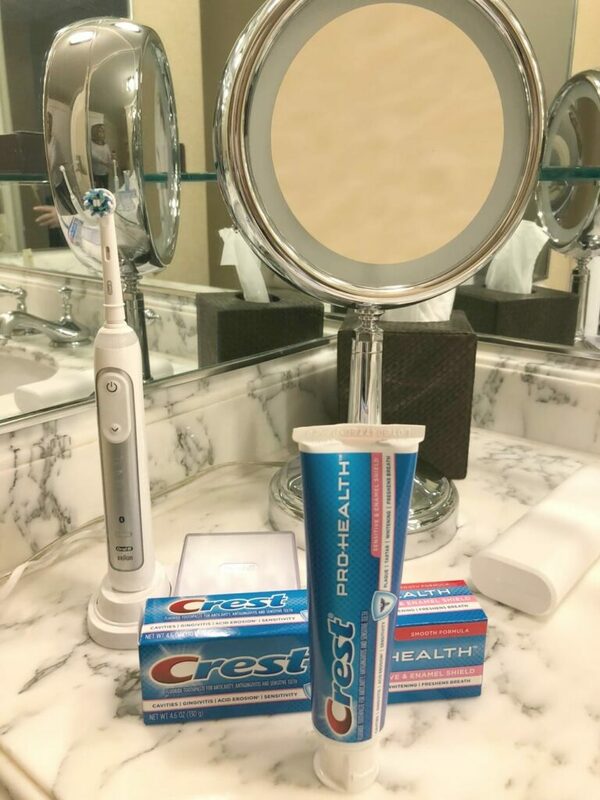 Crest Pro-Health Sensitive & Enamel Shield toothpaste has me covered. It fights plaque and tartar, it helps with whitening and it freshens breath. This one toothpaste has it all! I love the smooth formula and the continuous clean feeling I have, even hours after I have brushed my teeth. I travel with my Crest too. I keep an extra tube in my travel bag so that it never gets forgotten. It’s that important to me. 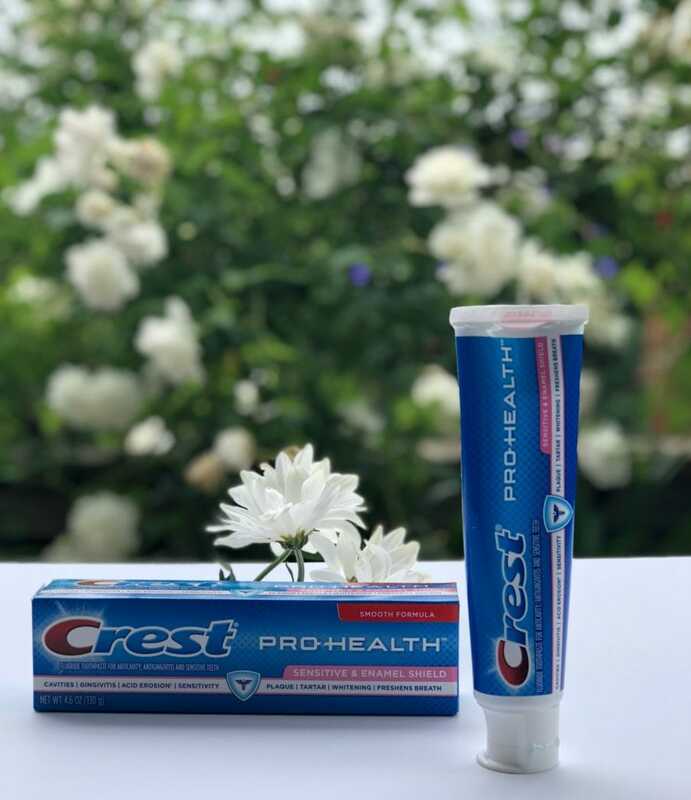 If you want one product that will meet all of your needs, I highly recommend Crest Pro-Health Sensitive & Enamel Shield Toothpaste. Look for the pink stripe on the front of the box. Now you can receive great deals on Crest and other great P&G products too! P&G Everyday recently launched it’s “Empty Nest, Full Life” page. This page offers exclusive savings, recipes, and tips to all Empty Nesters. Take care of your teeth with great products, get tips on 50+ life, and save money too! That’s what we love here at More With Less Today! If you are an empty-nester too, tell us about your empty nest, full life in the comments.